I work at what could be called a mainstream Enlightenment university. Like many old universities in the western world, the University of Edinburgh is proud of its Enlightenment tradition. It names prestigious lecture series after the Enlightenment as if it was a good thing. While the Enlightenment undoubtedly had its merits in terms of calling into question the tyranny of royals and God, and in the notion that we could as human beings think for ourselves and by so doing create a better world, all to be applauded, it was abysmal in its treatment of women, people of colour and indigenous peoples, whose epistemologies were deemed too irrational, too emotional and too superstitious. Their perceived incapacity for rational thought was a key justification for sexist, racist and colonial practices. It made it justifiable to exclude them from franchise, to deny them access to spaces of economic or educational opportunity, to take their lands and resources and to kill them when they got in the way of “progress” and “civilization”. And it had profound implications for knowledge and for the administrative organization of knowledge in the academy, splitting the natural and physical sciences off from the humanities and social sciences. As many indigenous scholars have noted, including Sami scholar Rauna Kuokkanen (see for example Kuokkanen 2007) and Māori scholar Linda Tuhiwai Smith (see for example Smith 2010), the mainstream Enlightenment university is a colonial and monocultural institution that functions on a basis of epistemic ignorance regarding indigenous cultures. For indigenous faculty and students, working or studying at such an institution means therefore being engaged in a struggle against racism and coloniality. 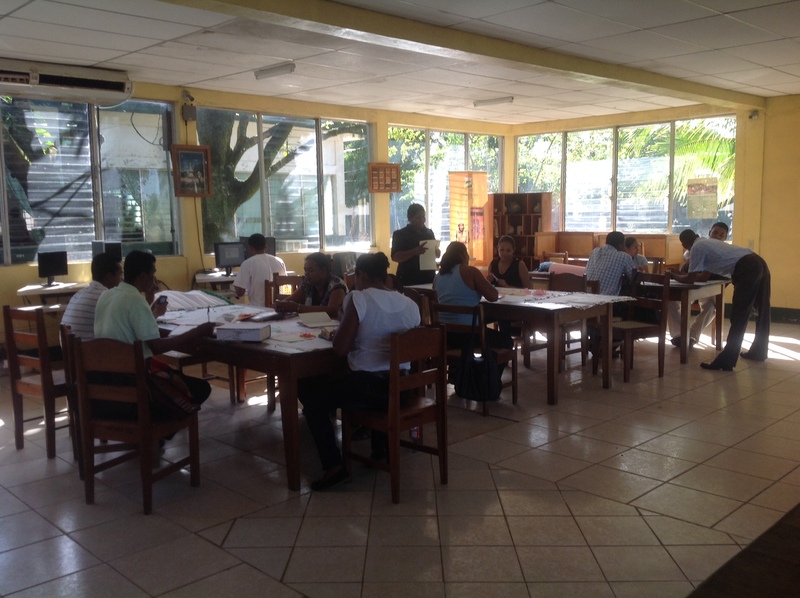 It is this experience that led a group of Miskito and Creole intellectuals on Nicaragua’s Caribbean Coast to create URACCAN or the University of the Autonomous Regions of the Nicaraguan Caribbean Coast (www.uraccan.edu.ni ), a university in which indigenous ways of knowing form the basis of scholarly and pedagogical practices. URACCAN’s project forms the basis of a recent article that Kevin Glynn and I (Cupples and Glynn 2014) have just published in the Singapore Journal of Tropical Geography, an article that forms part of a special issue on Advancing Postcolonial Geography, edited by James Sidaway, Chih Yuan Woonan and Jane Jacobs at the National University of Singapore (http://onlinelibrary.wiley.com/doi/10.1111/sjtg.2014.35.issue-1/issuetoc ). Drawing on insights from the modernity/coloniality/decoloniality (MCD) paradigm and focusing in particular on research and teaching in both communication and health, we outline how western epistemologies are displaced and indigenous ones productively foregrounded. We are inspired by what we have seen as URACCAN. Indeed, we wrote this paper after working for a decade at a New Zealand university that has repeatedly failed indigenous staff, students and knowledges. In the late 1990s, a doctoral student in education, Hazel Phillips, recruited a group of Māori students at the University of Canterbury. Her thesis documents their struggles to succeed in a hostile and colonial institution that repeatedly invisibilized or silenced their perspectives. Sadly, none of the research participants recruited at the start of the study completed their degrees. In the decade since Phillips’ thesis was completed (Phillips 2003), there is no doubt that the University of Canterbury is undergoing an indigenization of sorts. There is a visible indigenous presence on campus, strategic planning documents and appointments articulate aims to strengthen linkages with Māori communities, support Māori research initiatives and enhance the capacity of Māori researchers (see for example www.canterbury.ac.nz/theuni/documents/uc_research_plan_february_2010.pdf) and there are institutional opportunities available for non-indigenous staff and students to become proficient in Māori language and protocol. Such attempts to indigenize the university are however constantly undermined by vertical and undemocratic modes of governance, particularly “line management” (see Cupples and Pawson 2013; Johnston, Sears and Wilcox 2012) and by the privileging of western science and engineering over interdisciplinary and critical cultural and area studies, which are undermined through closure, attempted closure and downsizing through attrition. Such managerial moves compromise the indigenization of the university, for as both Kuokkanen (2007) and Smith (2010) write, it was the development of critical and anti-positivistic cultural, feminist and area studies that emerged from within in the academy that provided an opening for indigenous knowledges to gain legitimacy and flourish (see also www.kaupapamaori.com ). URACCAN, like other intercultural and indigenous universities that are starting to emerge in Latin America and elsewhere, provides important lessons for those of us working in postcolonial settler nations such as New Zealand, Canada, Australia and the United States with indigenous populations organized in pursuit of decolonization. It also provides lessons for those of us working in the UK, where funding regimes and the pressure to get grants undermines the kind of long term, in-depth and ethnographic work required for doing research with indigenous communities and where our students are mostly (but not exclusively) very privileged and so one of our most important tasks as educators is to help them unlearn their privilege (Spivak 1988) so that they might become more than individualized and compliant consumers when they graduate. In my experience, students are receptive to anti-capitalist, feminist and decolonial thought but they need to have time to think through their implications and be exposed to them over the course of their degrees. URACCAN also provides important lessons for those of us who are deeply concerned at the intense neoliberalization and corporatization that has taken hold of our public institutions in ways that are profoundly damaging. Neoliberalizing threats to humanities and social sciences and the privileging of STEM subjects are therefore also threats to the necessary indigenization and decolonization of the university. At URACCAN, with far fewer resources than both Edinburgh and Canterbury, they have quite a different approach. You can find the article here. If you don’t have an institutional subscription to the Singapore Journal of Tropical Geography, and would like a copy of the article, please email me. This article is part of the project Geographies of Media Convergence funded by the Marsden Fund of the Royal Society of New Zealand. Over the past few years, the management of the University of Canterbury has closed American studies, Religious Studies, Gender Studies and Theatre and Film Studies, subjects in which critical, cultural, and non-positivist perspectives could be found and in which some faculty were working on and with Māori. I do of course acknowledge that in New Zealand there are Māori scientists and engineers (see Victoria Guyatt’s Masters thesis on Māori female scientists for a discussion of how competing worldviews are reconciled (Guyatt 2005)) and that there are a small number of non-indigenous scientists and engineers who are trying to incorporate indigenous worldviews into their teaching and research, but they are few and far between and are hindered by their embeddedness in western scientific epistemologies. I am however delighted that I have a Masters student, Laura Mariana Reyes, who is about to depart to do fieldwork with Unitierra, a similar initiative in Oaxaca, Mexico. Cupples J and Glynn K (2014) Indigenizing and decolonizing higher education on Nicaragua’s Atlantic Coast. Singapore Journal of Tropical Geography 35(1): 56-71. Cupples J and Pawson E (2012) Giving an account of oneself: The PBRF and the neoliberal university. New Zealand Geographer 68(1): 14-23. Guyatt V (2005) Reconciling Multiple Identities: Māori Women Scientists in Aotearoa/New Zealand. Unpublished MSc thesis, Department of Geography, University of Canterbury. Johnston J, Sears C and Wilcox L (2012) Neoliberalism unshaken: A report from the disaster zone. Excursions Journal 3(1): 1-25. Kuokkanen R (2007) Reshaping the University: Responsibility, Indigenous Epistemes, and the Logic of the Gift. UBC Press: Vancouver. Phillips H (2003): Te Reo Karanga o nga tauria Māori: Māori Students, their Voices, their Stories at the University of Canterbury 1996 – 1998. Unpublished PhD thesis, Department of Education, University of Canterbury. Smith LT (2010) Decolonizing Methodologies: Research and Indigenous Peoples. 2nd edition. Sage: London. Spivak G (1988) Can the subaltern speak? In C Nelson and L Grossberg (eds) Marxism and the Interpretation of Culture. University of Illinois Press: Urbana, pp. 271-313. I’m very pleased to announce that our new article “The mediation and remediation of disaster: Hurricanes Katrina and Felix in/and the new media environment” is now published online in Antipode. This article is part of the Geographies of Media Convergence research project, funded by the Marsden Fund of the Royal Society of New Zealand. This articles explores the mediation and remediation of two major hurricanes: Hurricane Katrina which made landfall on the Gulf Coast of the United States in 2005 and Hurricane Felix which hit the Caribbean Coast of Nicaragua in 2007. Inspired by scholarship in the modernity/coloniality/decoloniality paradigm, we wish to emphasize the historical connections between these two sites. Their inhabitants are subject to similar modes of racialized Othering and internal colonialism, and both places have vital links with the transnational cultural consciousness that Paul Gilroy referred to as the Black Atlantic. Indeed, both sites are seen to not properly belong to the nation-states in which they are located and in both cases the disaster produced an inadequate government response. People suffered not just because these were large hurricanes but because of racism, social neglect and the refusal of states to respond to the needs of their citizens. Katrina and Felix also occurred at a time when centralized forms of media are increasingly perceived to be in crisis. This crisis is creating new spaces for the development of alternative ways of knowing, watching and making media. As content pertaining to the hurricanes has moved across media platforms, ways of knowing rooted in the material conditions of everyday life have emerged and have disrupted common sense understandings of disasters as natural, one-off localized events. We’re suggesting that activists should understand the distinctions between mainstream (or corporate) and alternative media, between top-down and grassroots media, and between “old” and “new” media, in relational and non-categorical rather than absolute terms. We are hugely supportive of grassroots/community/alternative media but these media don’t exist in isolation from for-profit media. Different media realms interact with and impact upon one another. In the case of Katrina and Felix, this movement of material across media platform, the different ways in which people have engaged with news and current affairs, TV drama, blogs, Facebook and YouTube clips have emphasized how these disasters must be understood as ongoing and open-ended events embedded within historical, social, cultural, economic and political processes and systems. Media, policymaking and emergency management practices that are informed by an awareness of this complex embedding, and which are therefore able to take a long-term view of the unfolding of disasters, will be best equipped to engage effectively, and in democratically responsive ways, with disasters and in particular with the needs of those populations most vulnerable to their impacts. We need to be vigilant about how in these neoliberal times, inequalities embedded in race and class disadvantage increase vulnerabilities to disaster and how disasters are opportunistically seized by neoliberalizing forces, a phenomenon Naomi Klein has called disaster capitalism. We must also look at the role played by the new media environment in creatively challenging this depressing state of affairs. I would like to dedicate this article to Hardy Jackson whose tragic and moving story was repeatedly captured in the remediation of the disaster and who died shortly after this article was submitted. You can find the article here. 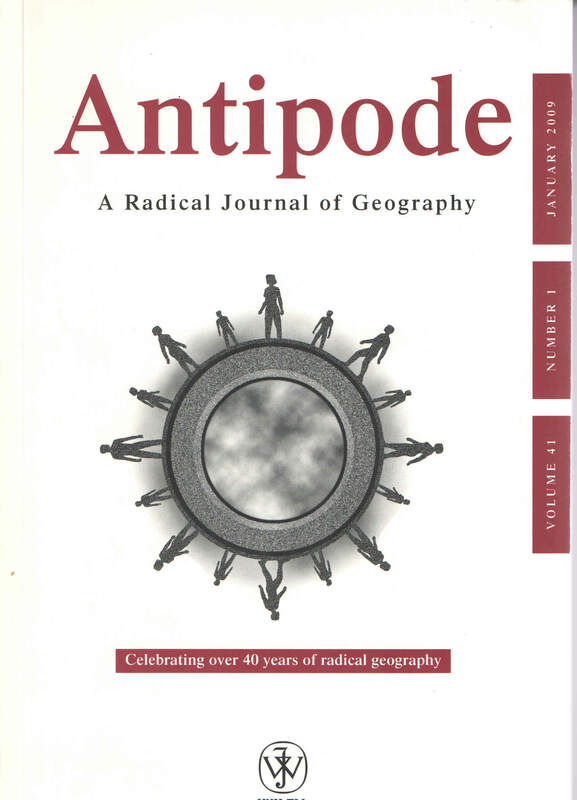 If you don’t have access to Antipode through a university library, email me for a copy. I’m heading to the National University of Singapore next week to participate in a symposium on postcolonial geography. I’m giving a paper about URACCAN, a grassroots, intercultural, community university in Bilwi on Nicaragua’s Atlantic Coast and how its achievements, experiences and its intellectual production provide a substantial challenge to the mainstream Enlightenment universities in which many of us academic geographers work. I spent ten years at the University of Canterbury in New Zealand where stated aims to indigenize and decolonize the university were constantly thwarted by neoliberal restructuring, downsizing, attrition and the privileging of western science and engineering over social sciences and humanities. URACCAN provides an example of how things can be done differently, when you allow indigenous worldviews to disrupt Eurocentric ways of knowing and when you refuse to separate the cultural, the scientific, the technological and the supernatural. In January 2009, Kevin Glynn and I shared some of our research findings on the region’s community media operations with a large group of first year students, most of whom identified as indigenous, who were enrolled in the degree in Intercultural Communication at URACCAN. We found a vibrant, articulate and engaged group of students willing to share their views with us. We wonder what the mainstream Enlightenment university might look like if governance and the organization of knowledge were based on horizontal and reciprocal solidarities, on collective decision making and on relational understandings of the connections between humans and nonhumans.